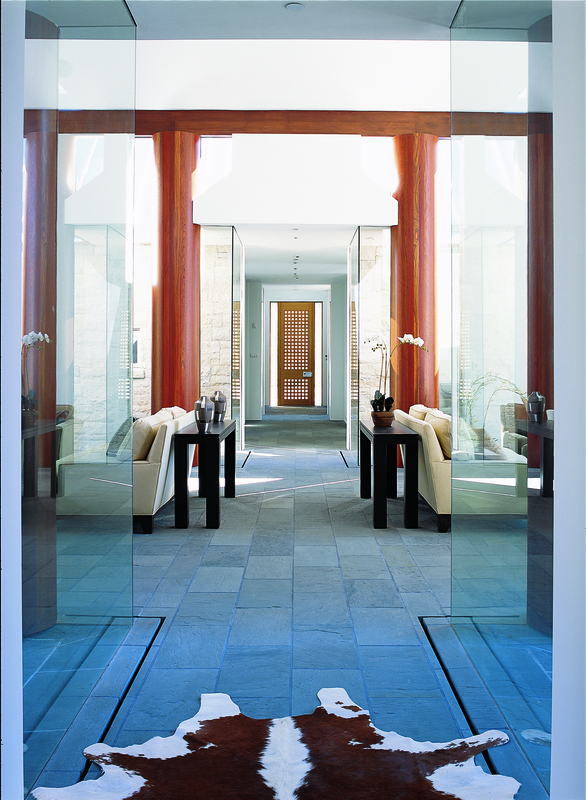 The house is built in 10 gray stone pavilions that are joined by floor-to-ceiling glass links. 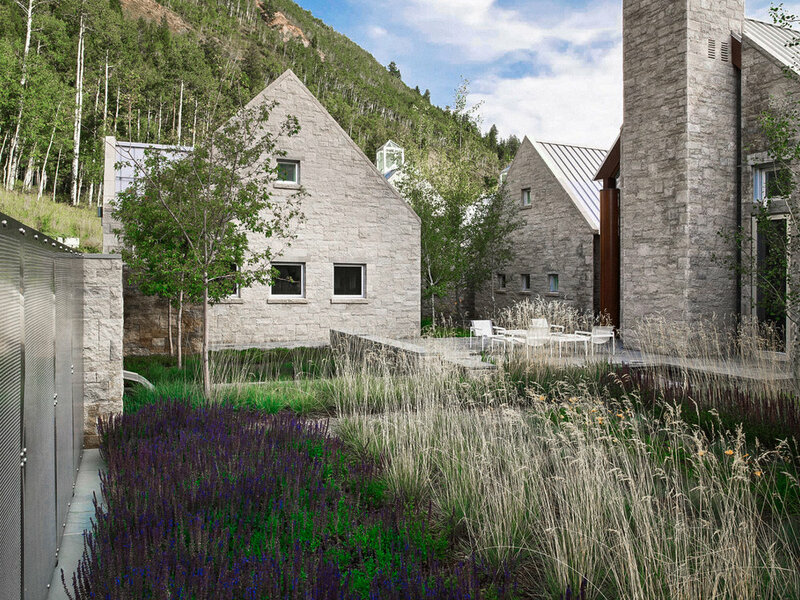 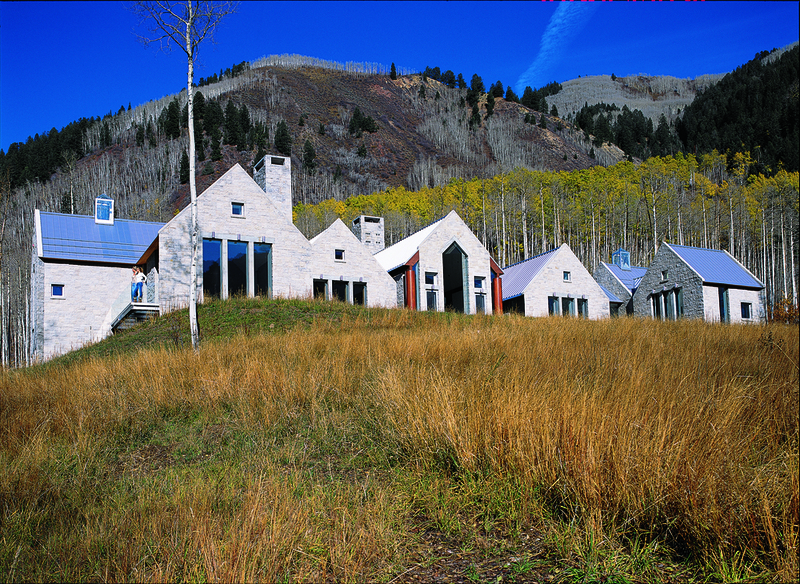 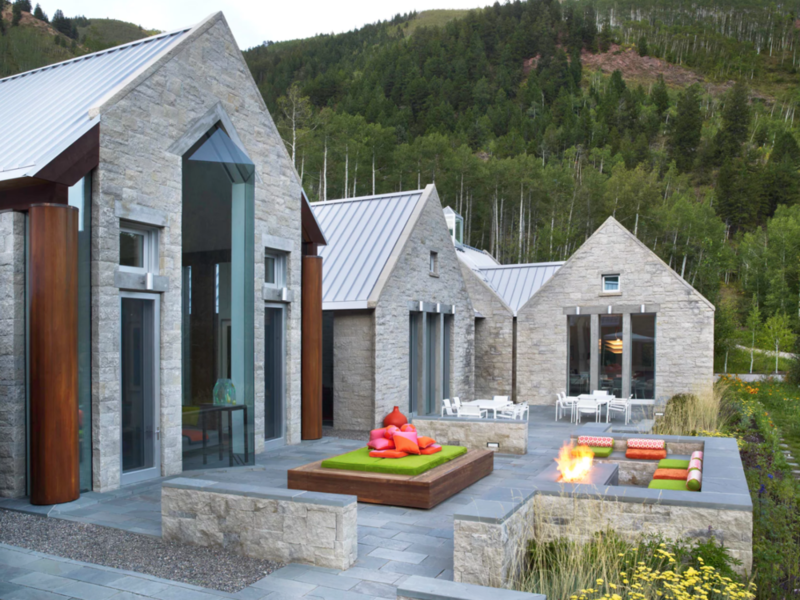 The windows and roof are silver in color, which defines the individual forms against the varying colors of its nearby mountain slopes and the seasons. 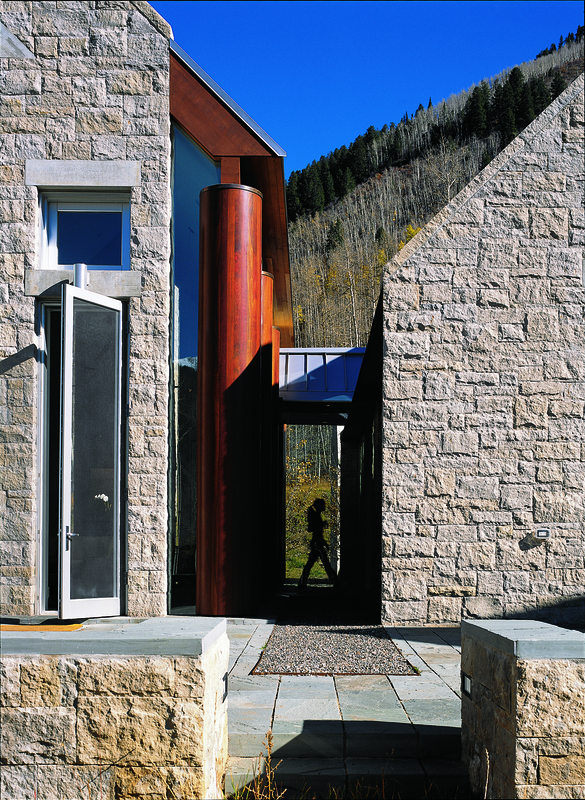 A 20-foot-high prismatic window in the great room of the center pavilion showcases the unforgettable view that defines the site.